Exporting PLASTICS provides member companies with reliable information and personalized counseling at every step of the exporting process – from strategy and planning to financing and logistics to market entry and expansion to advocacy and dispute resolution. The Plastics Industry Association (PLASTICS) helps members explore business opportunities in foreign markets. Special programs, seminars and other educational opportunities designed for businesses seeking to start or expand their overseas operations are publicized in the bi-weekly newsletter, Inside Edge. To help companies develop their global business strategies, PLASTICS sponsors trade missions to overseas markets with strong prospects for U.S. plastics industry participants. Each trade mission is designed to provide participants with an understanding of the particular market, plant visits, and meetings with potential customers and business partners. In past years, PLASTICS has sponsored successful trade missions to Brazil, China, Mexico and other overseas markets. Please contact Michael Taylor with any questions regarding PLASTICS’ trade missions by email or at 202-974-5232. Plastics play an indispensable role in a wide variety of markets, ranging from packaging and building/construction to transportation, consumer and institutional products, furniture and furnishings, electronics and more. 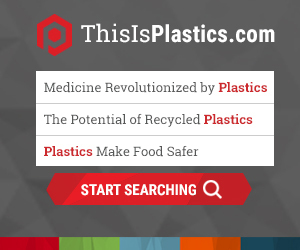 There are more than 16,800 plastics facilities in the U.S.